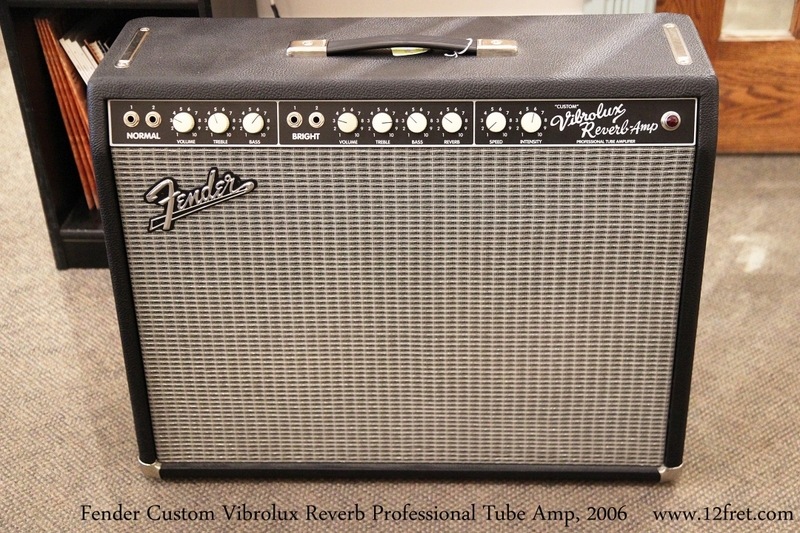 The Fender Custom Vibrolux Reverb Professional Tube Amplifier, built from 1995 to 2013, was part of Fender’s Professional Series, designed by the Custom Shop and built in the factory. 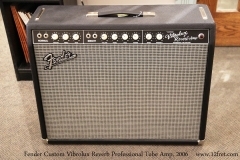 It is based on the Blackface versions of the classic 35 watt, 2×10 speaker Vibrolux Reverb, and uses a pair of Jensen speakers. And it comes stock with tilt-back legs! This example dates to 2006 and is in very good condition. It’s stock, except that it’s been serviced by John Fletcher to deal with a well-known ‘hiss’ or noise issue common to the regular production models. A non-original brown nauga slip cover is included. 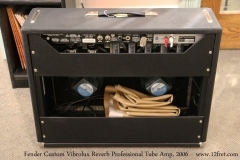 These amps offer excellent tone and usable output power in a reasonably portable package. 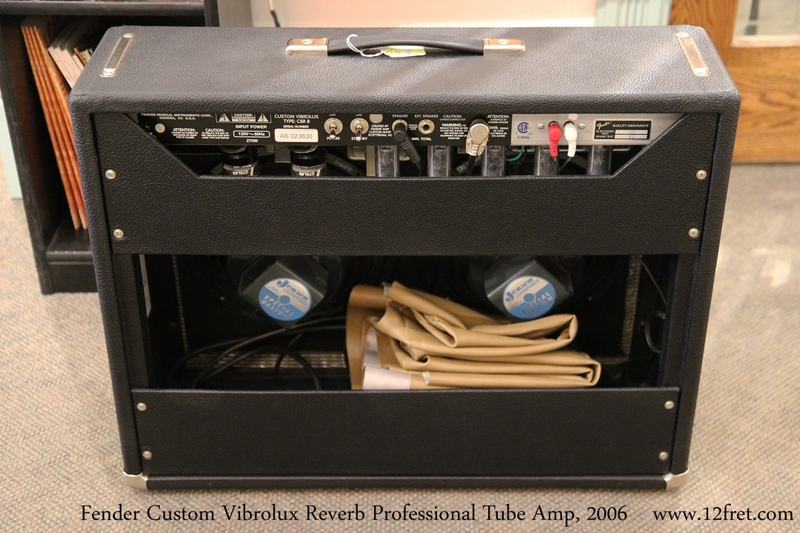 They suit many genres well, though it’s not a high gain amp so ‘heavy’ rock tones would require pedal support. They work well in studios, providing a clear, chimey tone.